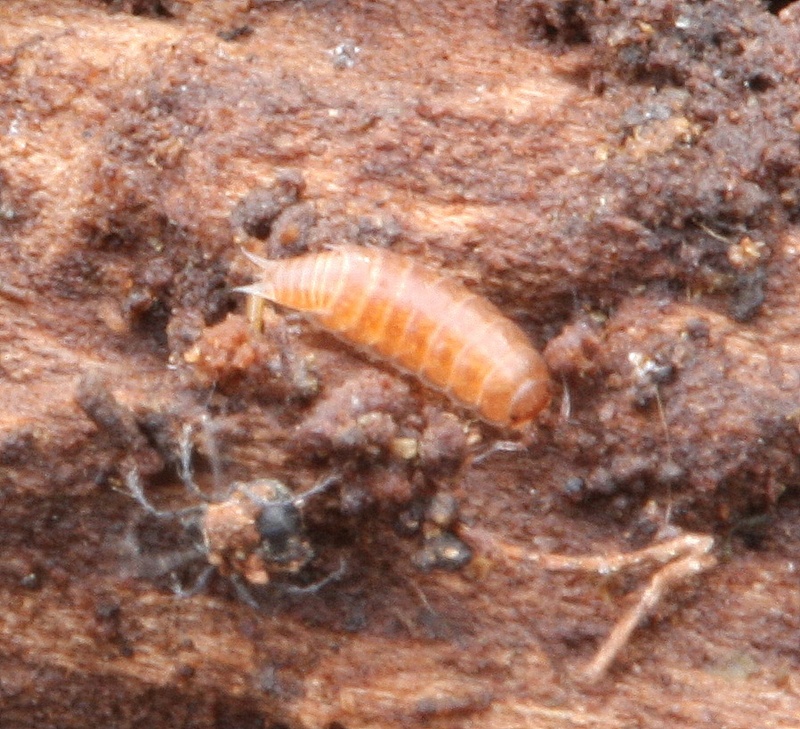 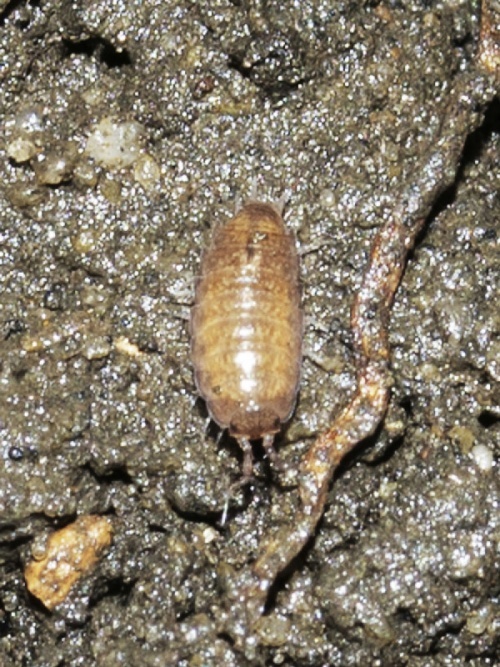 Common Pygmy Woodlouse - Trichoniscus pusillus agg. 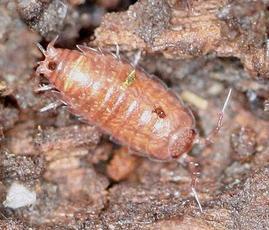 This small red woodlouse (up to 5 mm) is sometimes called the Common Pygmy Woodlouse. 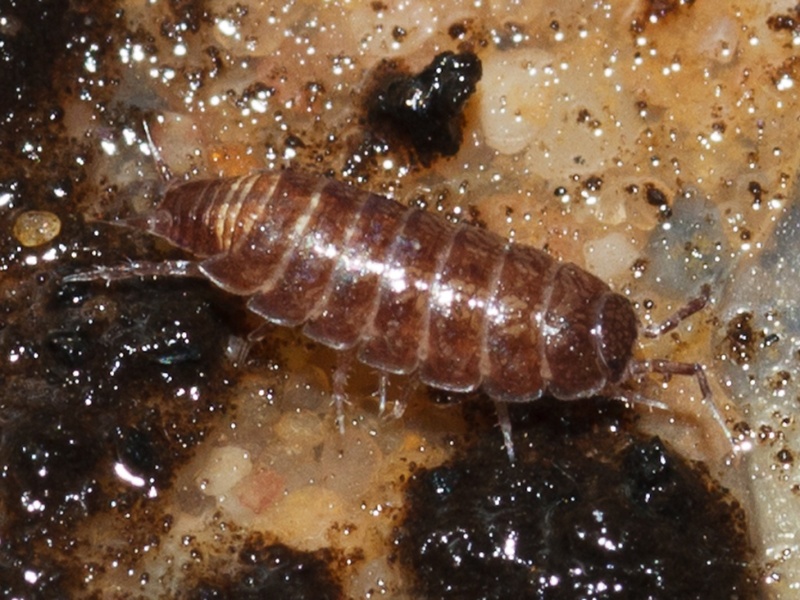 This is a small purplish-reddish species with eyes composed of three ommatidia and a smooth body surface. Recently, studies have shown that there are in fact two very closely related species which can only be separated by looking at differences in genitalia, hence the term 'agg.' to describe the species pair. The females are visually indistinguishable. Gardens under stones and logs or in damp soil and leaf litter in woodland. 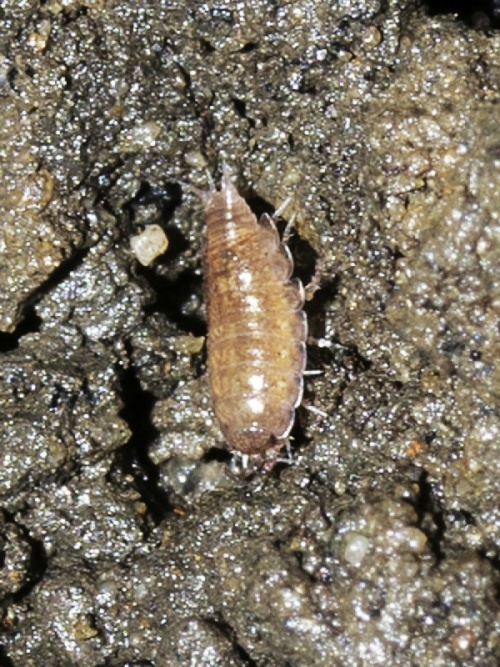 This species is capable of reproducing by parthenogenesis, whereby the female gives birth to clone offspring without male fertilisation. 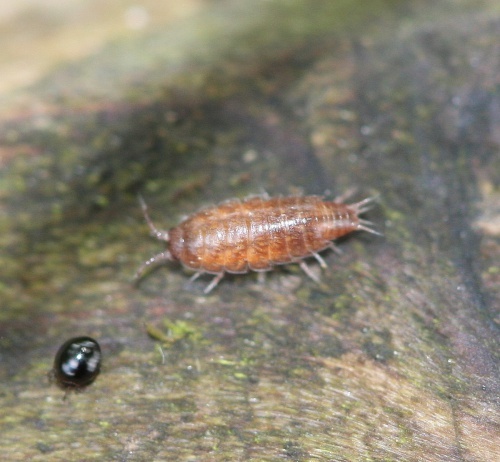 It is widespread and one of the most common woodlice in Britain. 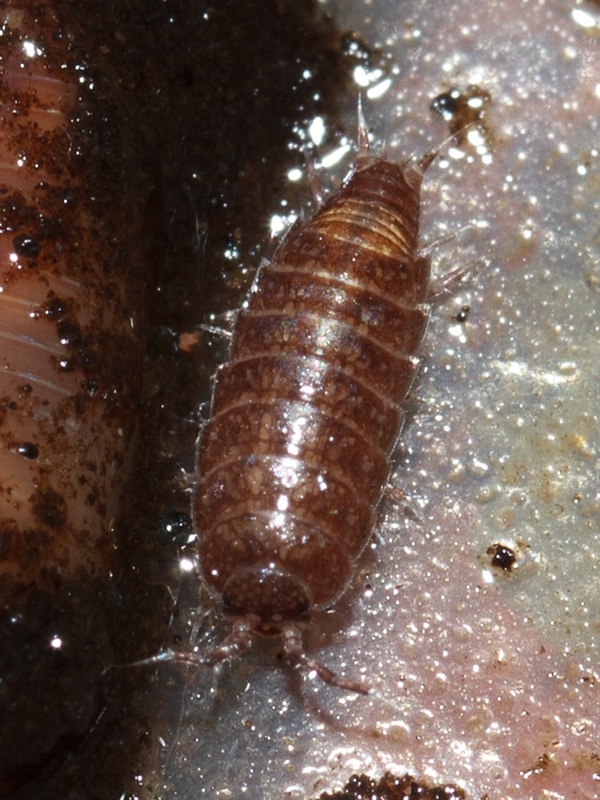 Very common in Leicestershire and Rutland.